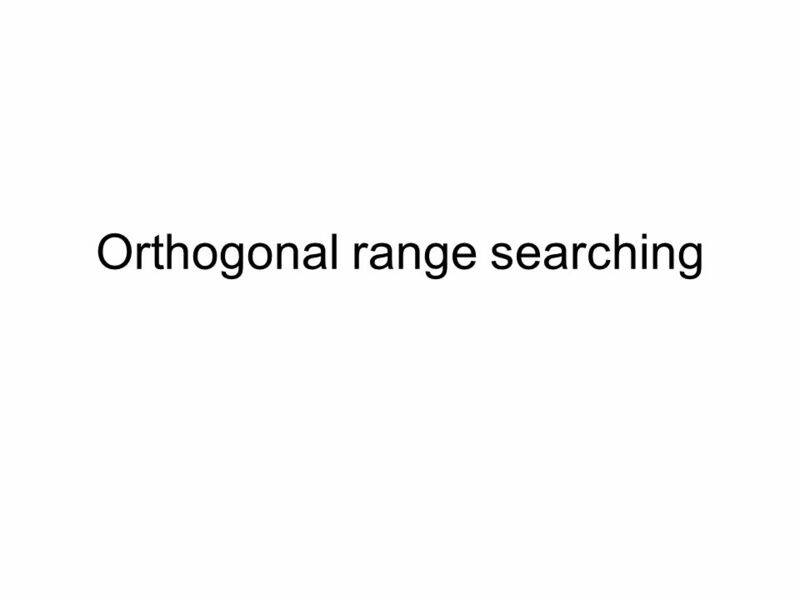 Orthogonal range searching. 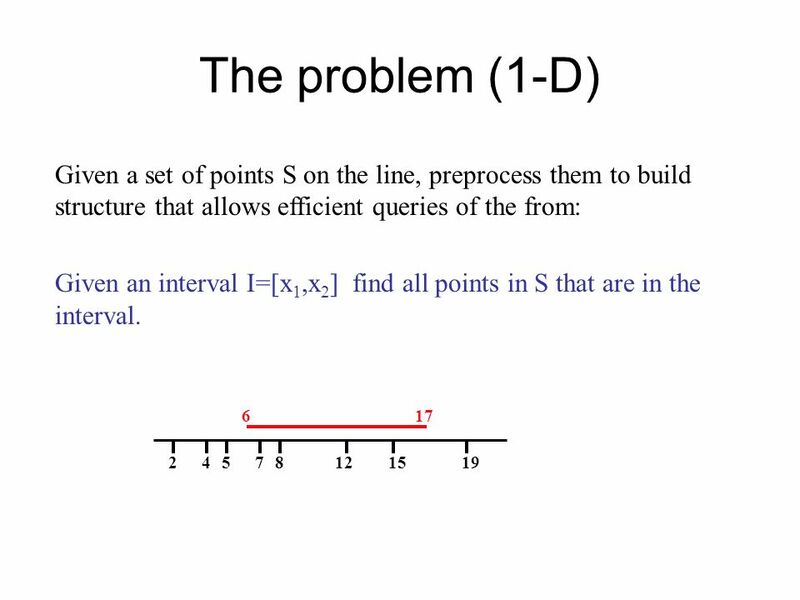 The problem (1-D) Given a set of points S on the line, preprocess them to build structure that allows efficient queries of. 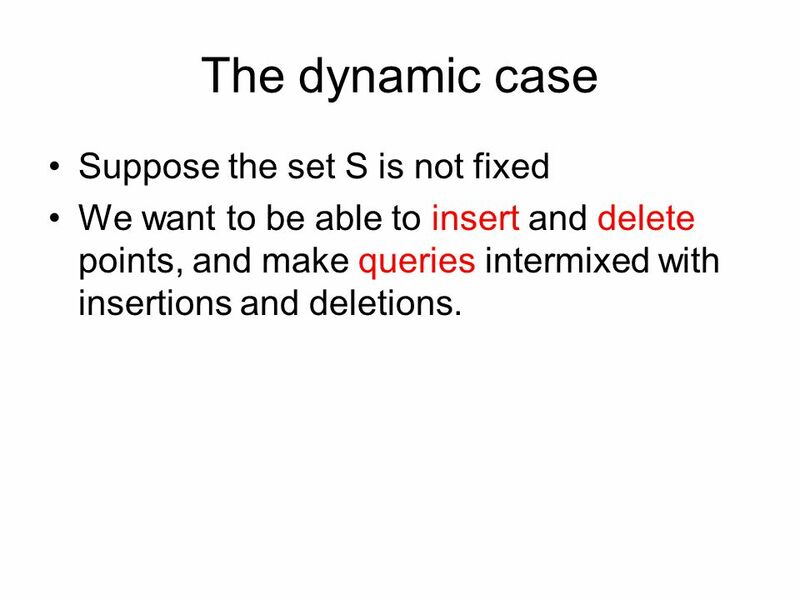 11 The dynamic case Suppose the set S is not fixed We want to be able to insert and delete points, and make queries intermixed with insertions and deletions. 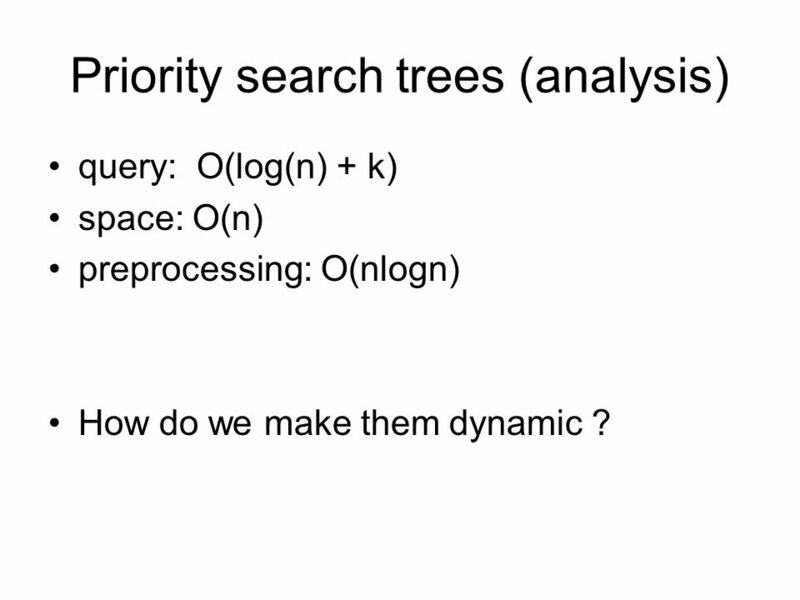 22 Priority search trees (analysis) query: O(log(n) + k) space: O(n) preprocessing: O(nlogn) How do we make them dynamic ? 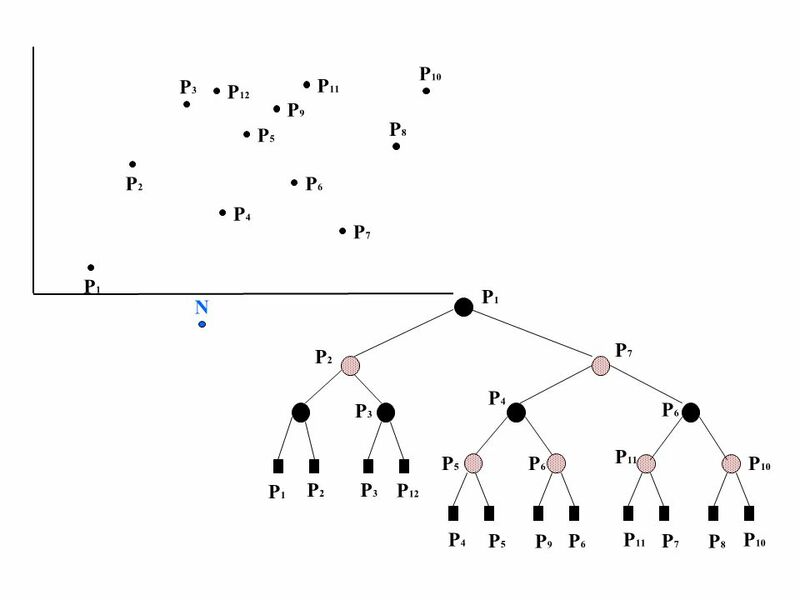 35 P1P1 P2P2 P3P3 P4P4 P5P5 P8P8 P6P6 P7P7 P9P9 P 10 P 11 P 12 P1P1 P4P4 P2P2 P3P3 P7P7 P6P6 P6P6 P1P1 P2P2 P3P3 P4P4 P5P5 P8P8 P6P6 P7P7 P9P9 P 10 P 11 P 12 P5P5 P 10 P 11 N N N We may also need to rebalance the tree… Is this a problem ? 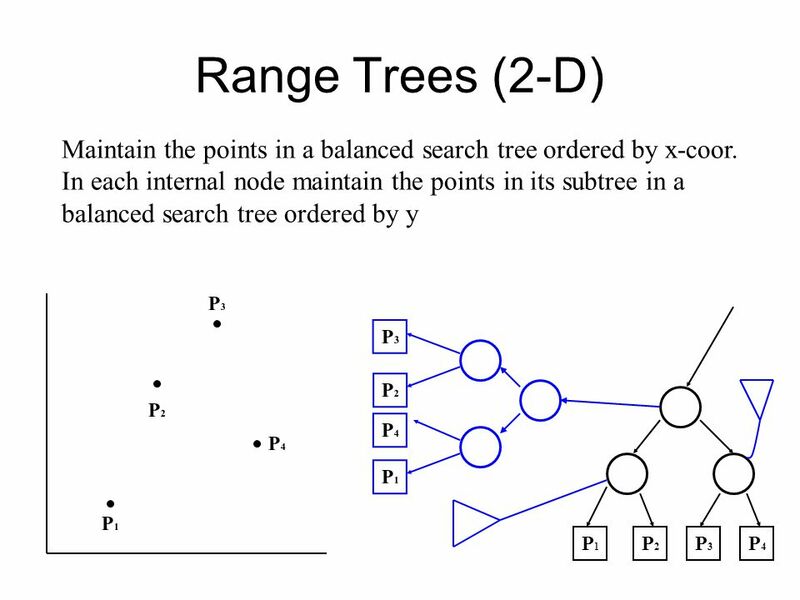 Download ppt "Orthogonal range searching. 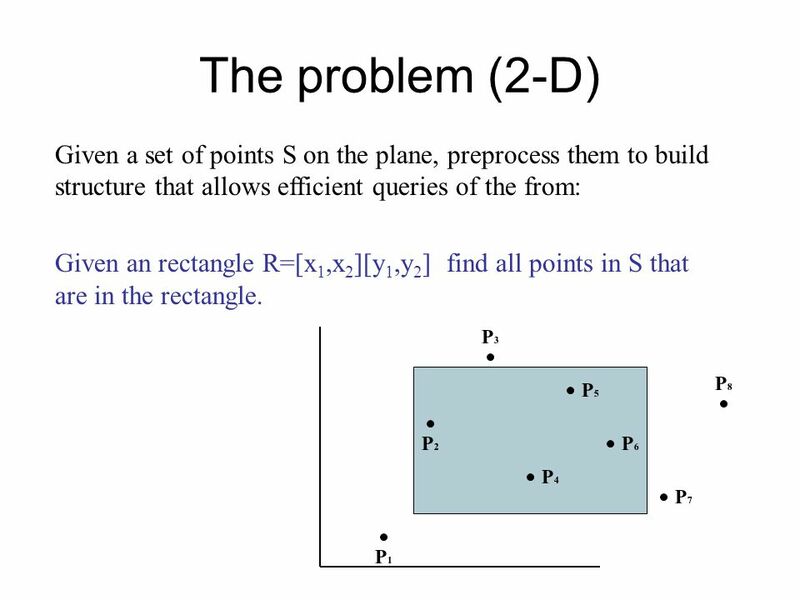 The problem (1-D) Given a set of points S on the line, preprocess them to build structure that allows efficient queries of." 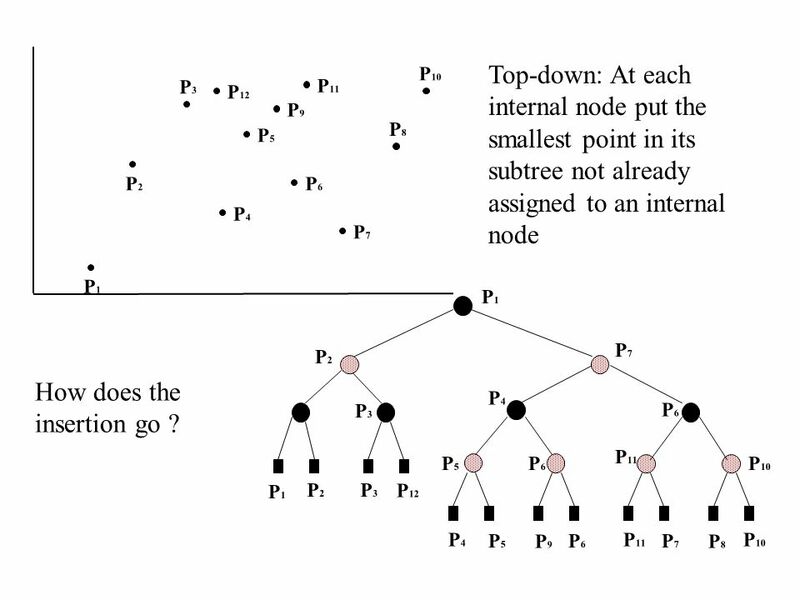 Turning Amortized to Worst-Case Data Structures: Techniques and Results Tsichlas Kostas. 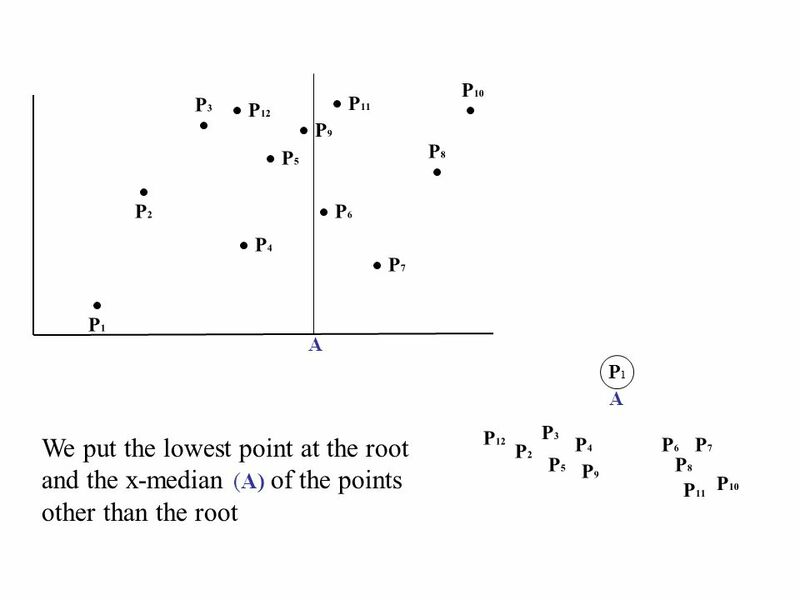 Interval Trees Store intervals of the form [li,ri], li <= ri. 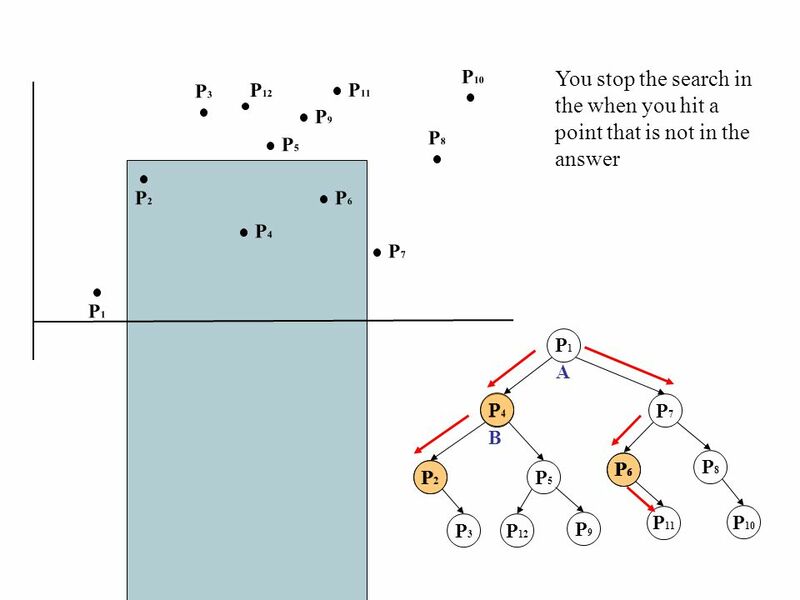 AVL-Trees (Part 2: Double Rotations) Lecture 19 COMP171 Fall 2006. 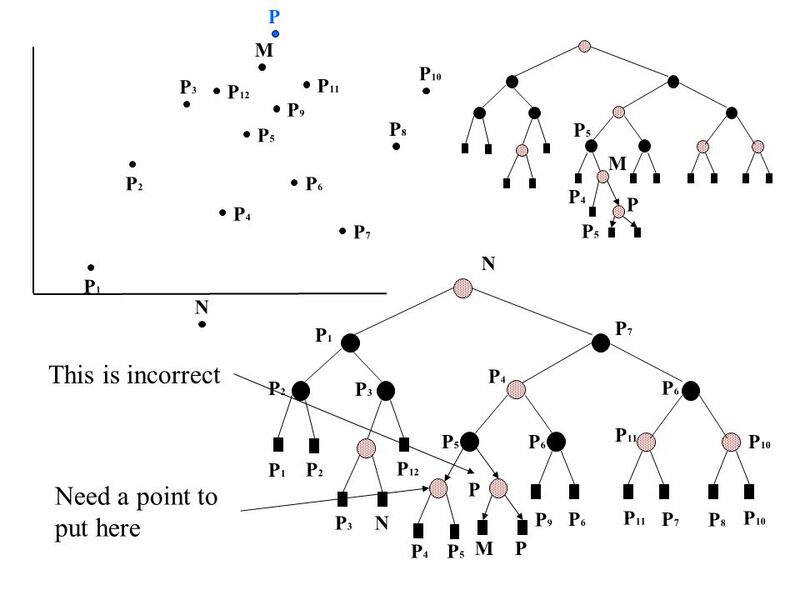 AVL Trees1 Part-F2 AVL Trees v z. AVL Trees2 AVL Tree Definition (§ 9.2) AVL trees are balanced. 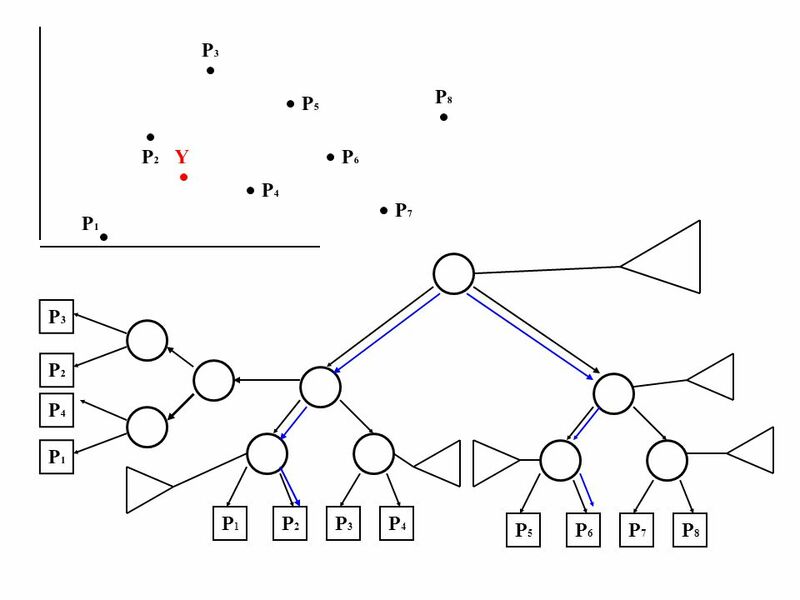 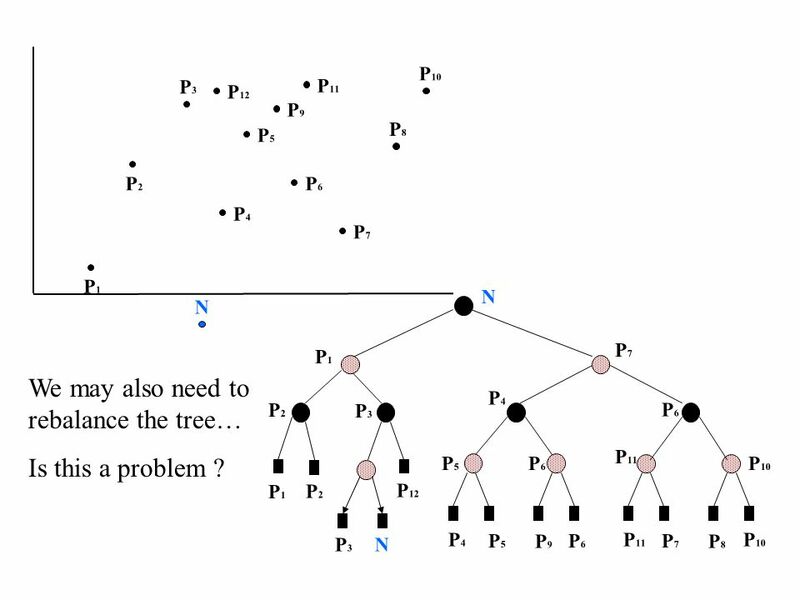 An AVL Tree is a binary search tree such that. 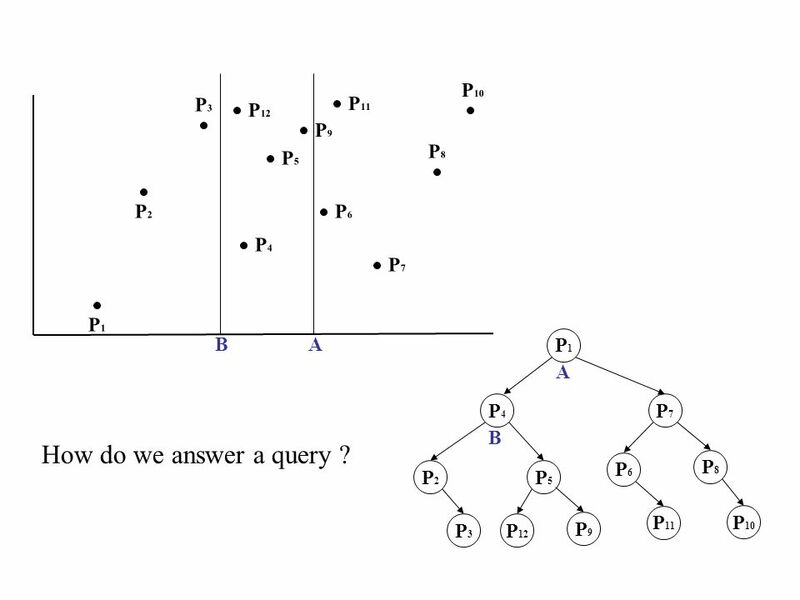 Augmenting Data Structures Advanced Algorithms & Data Structures Lecture Theme 07 – Part I Prof. Dr. Th. 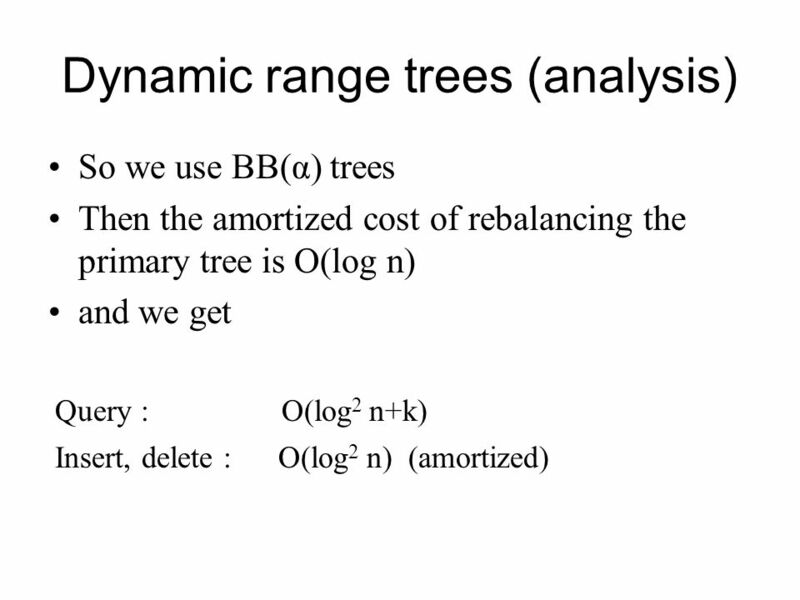 Ottmann Summer Semester 2006. 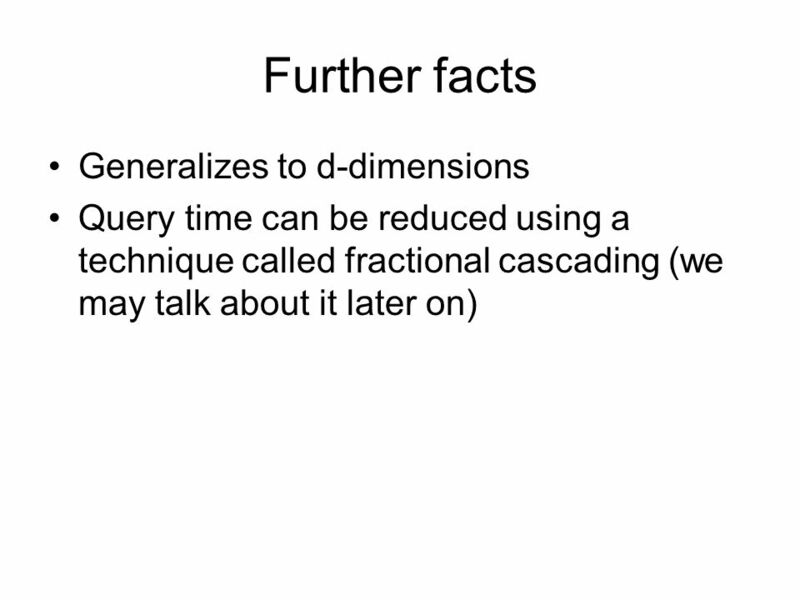 Dynamic Planar Convex Hull Operations in Near- Logarithmic Amortized Time TIMOTHY M. CHAN. 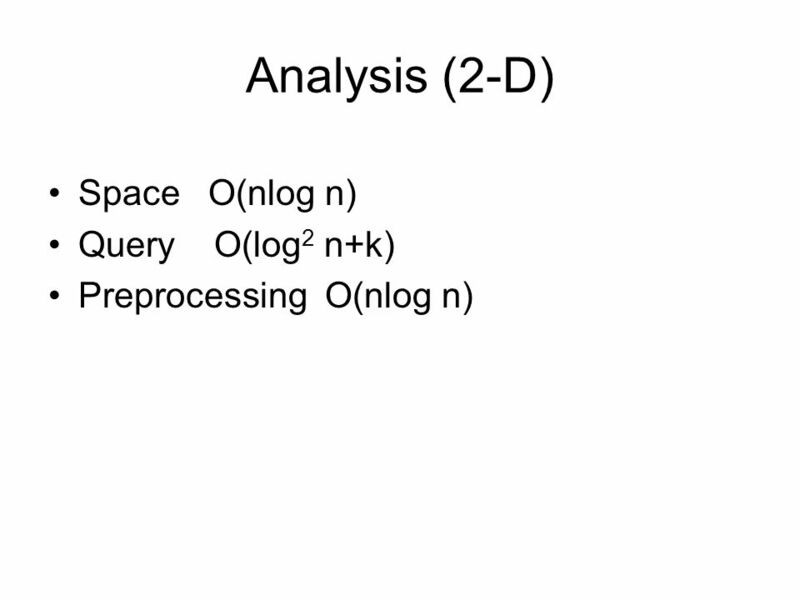 I/O-Algorithms Lars Arge Fall 2014 September 25, 2014. 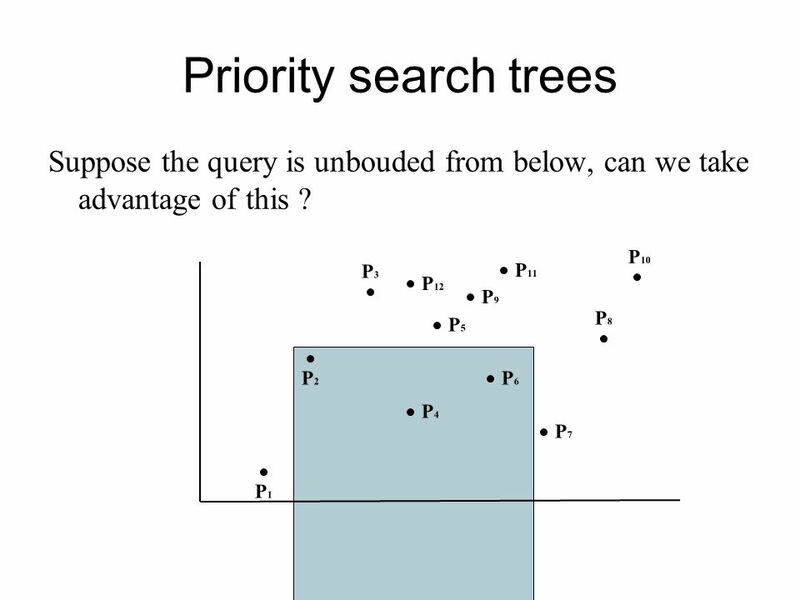 COSC 6114 Prof. Andy Mirzaian. 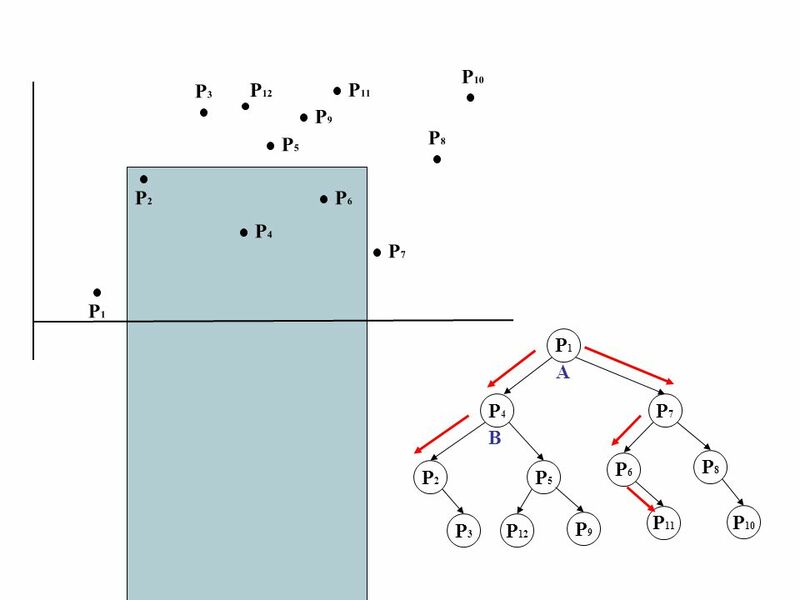 References: [M. de Berge et al] chapter 5 Applications: Data Base GIS, Graphics: crop-&-zoom, windowing. 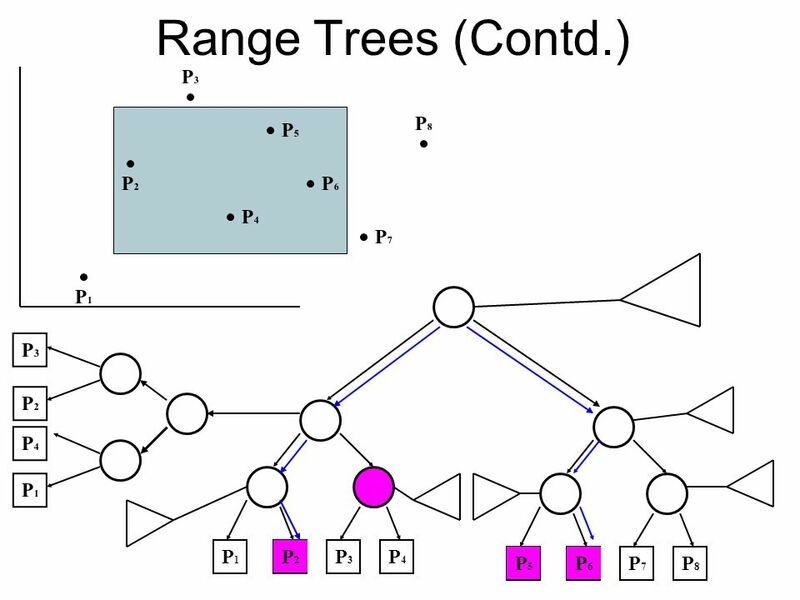 AVL Trees CS II – Fall /8/2010. 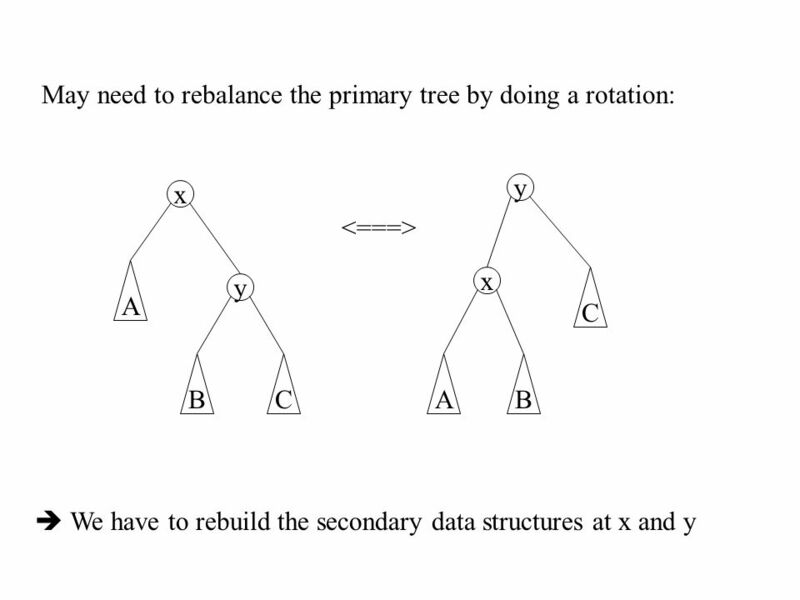 Announcements HW#2 is posted – Uses AVL Trees, so you have to implement an AVL Tree class. 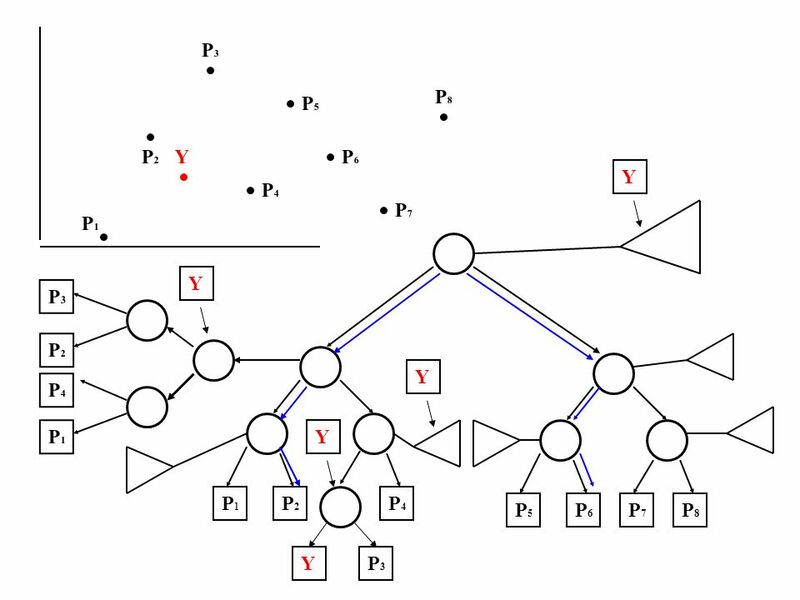 Most of the code is provided. 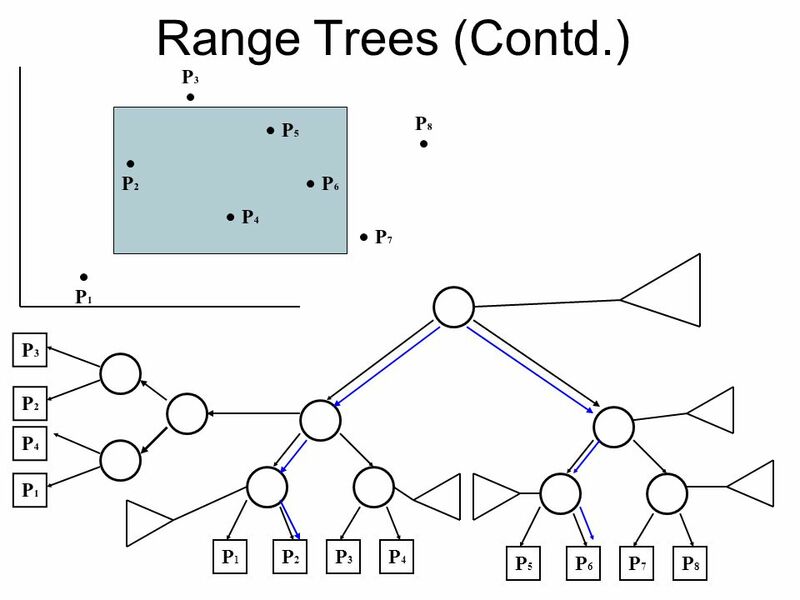 AA Trees another alternative to AVL trees. 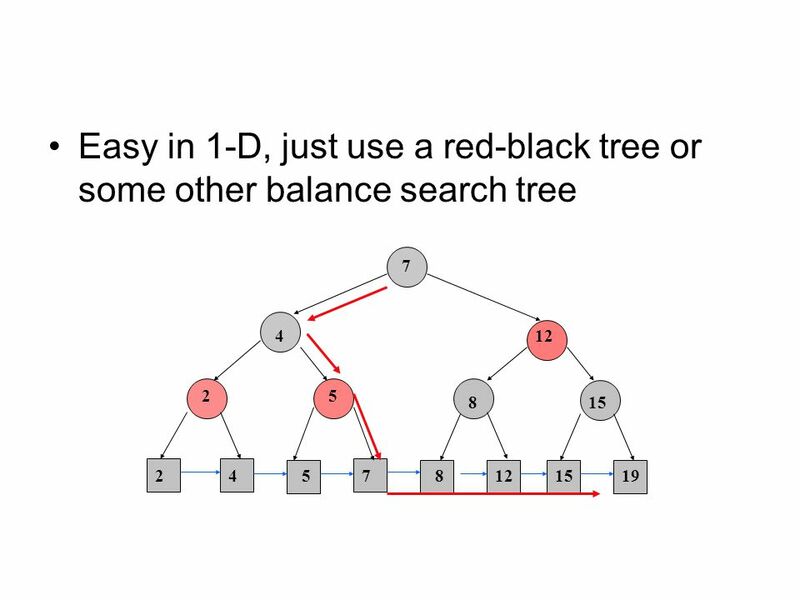 Balanced Binary Search Trees A Binary Search Tree (BST) of N nodes is balanced if height is in O(log N) A balanced. 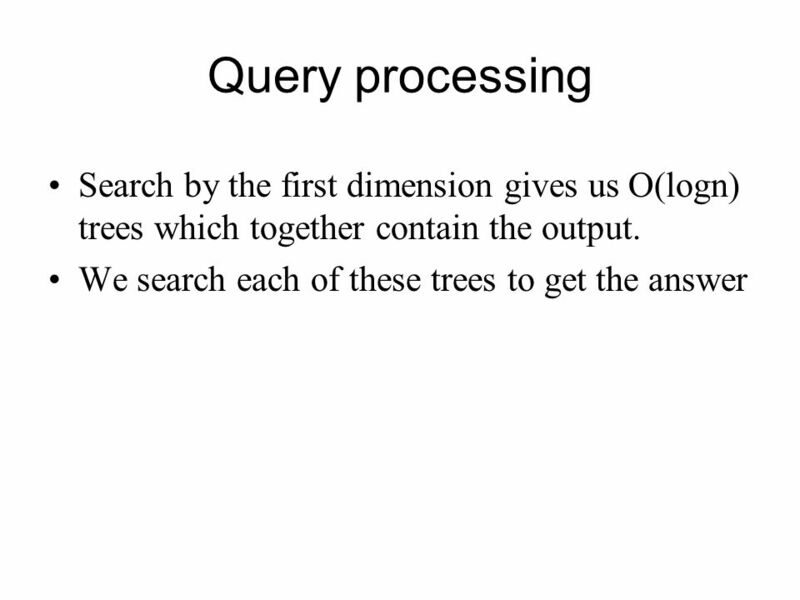 I/O-Algorithms Lars Arge University of Aarhus February 21, 2005. 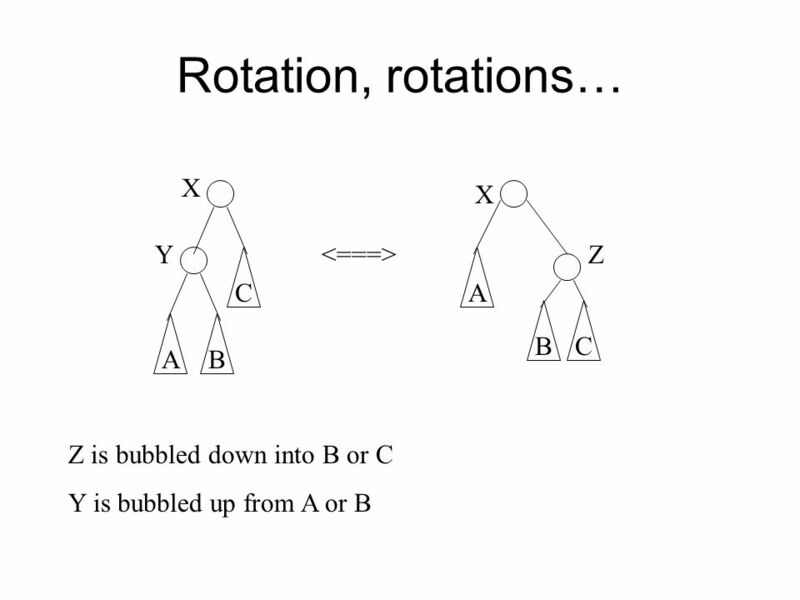 I/O-Algorithms Lars Arge Aarhus University February 27, 2007. 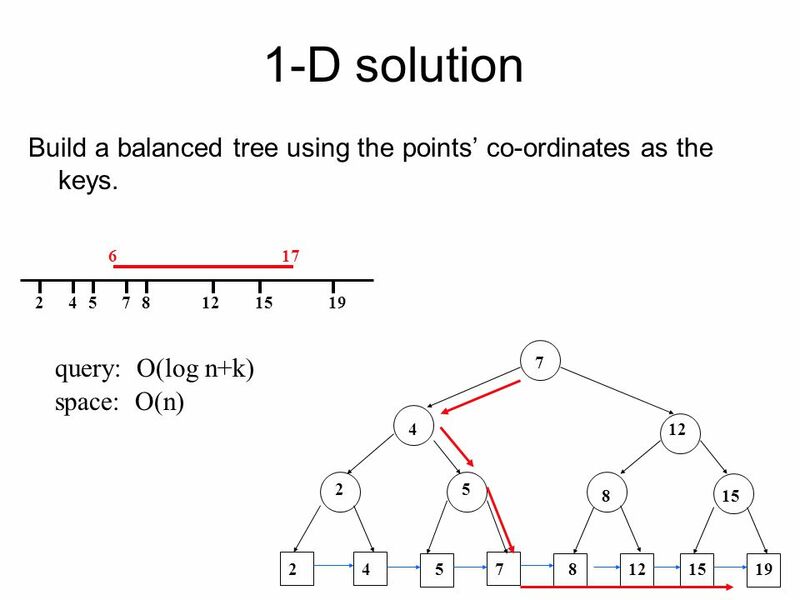 I/O-Algorithms Lars Arge Spring 2011 March 8, 2011. 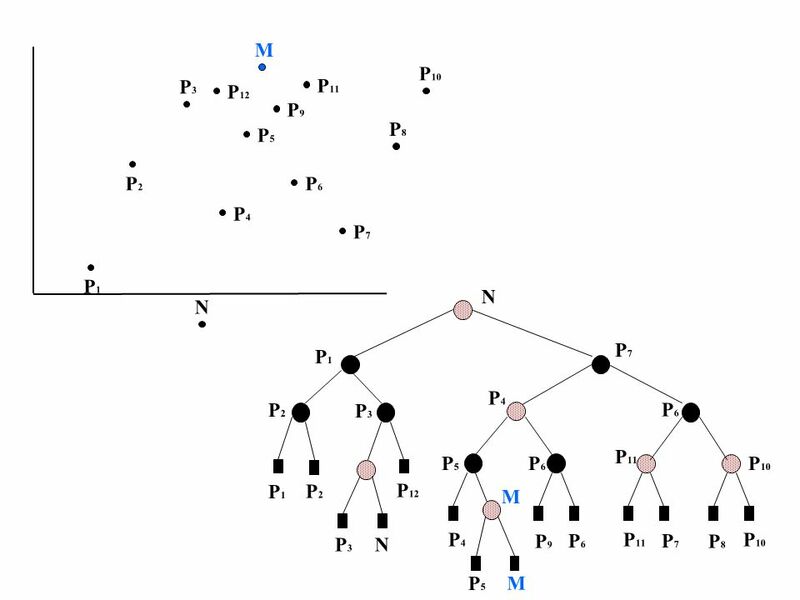 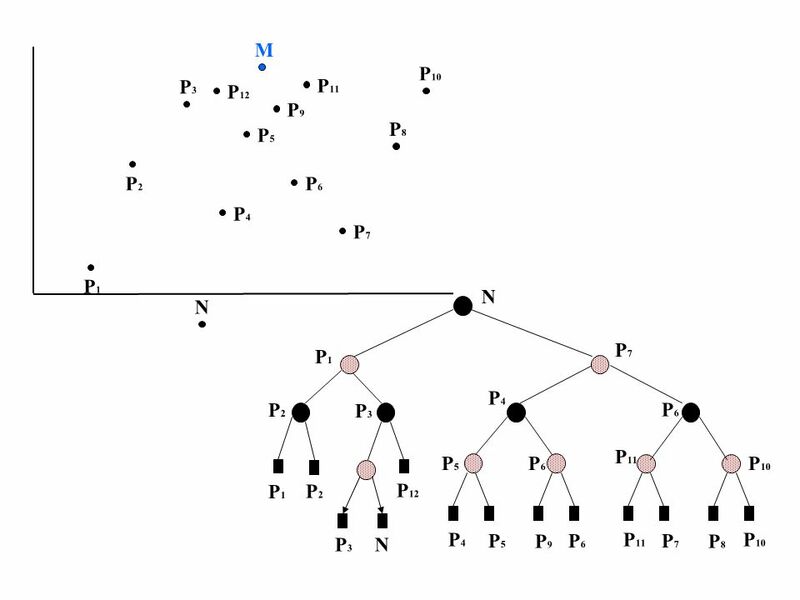 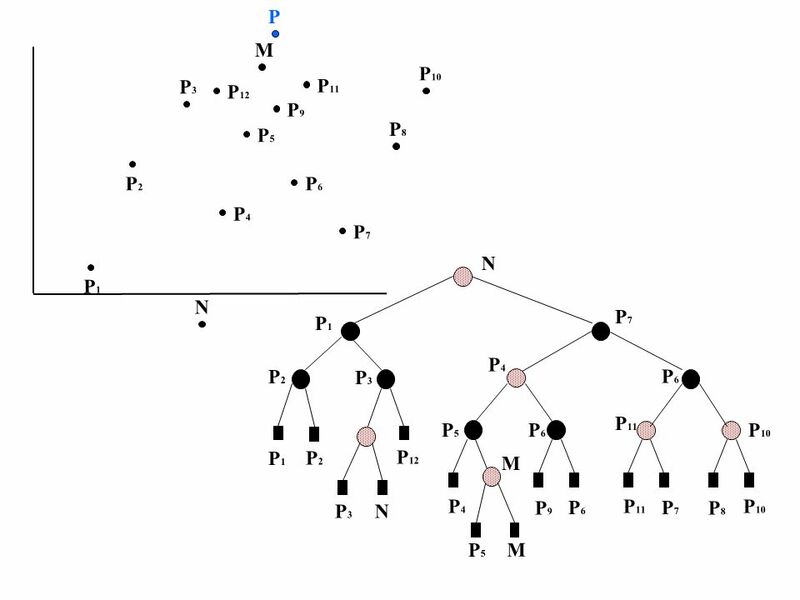 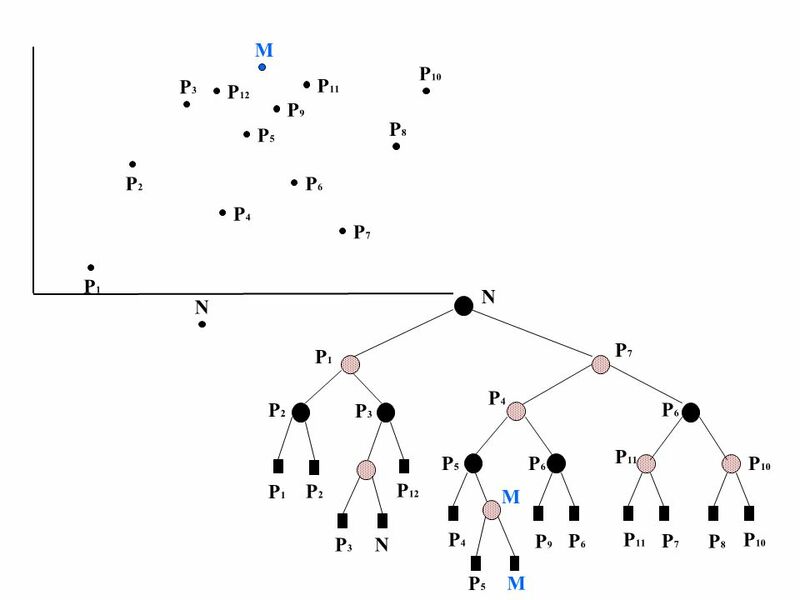 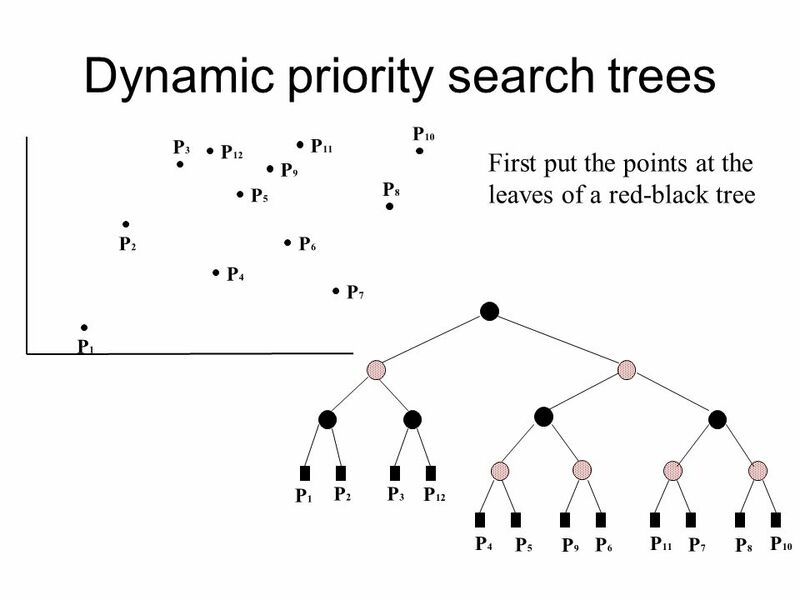 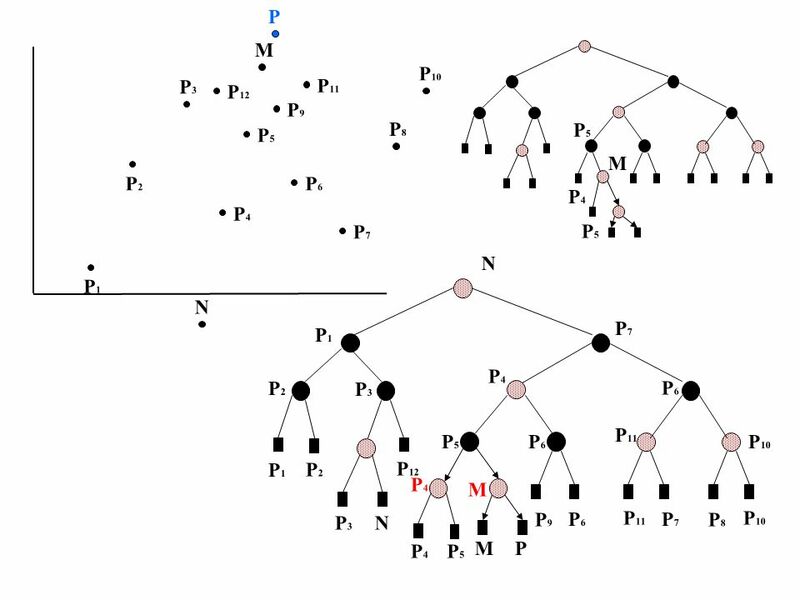 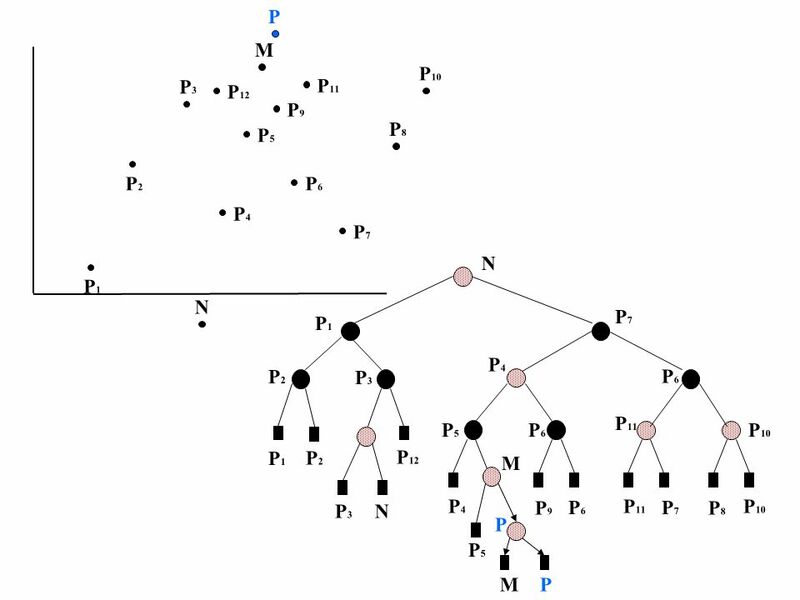 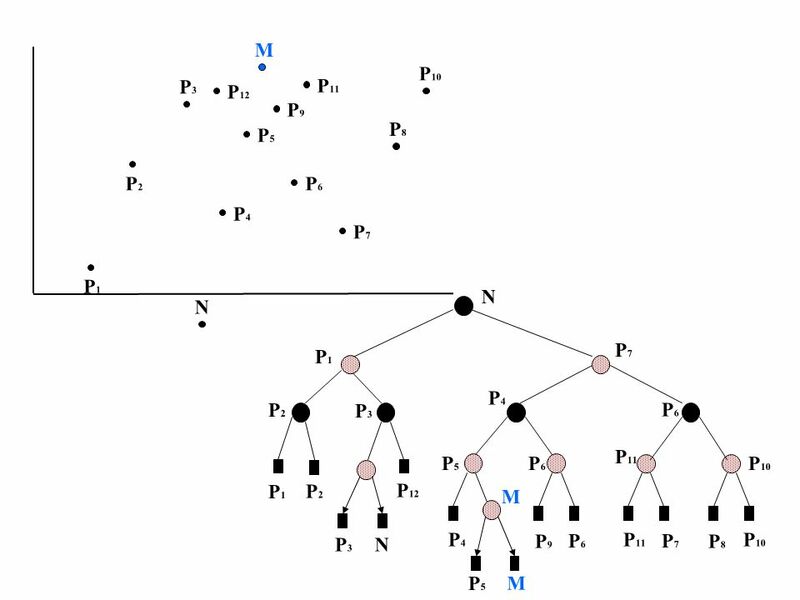 CSE373: Data Structures & Algorithms Lecture 7: AVL Trees Linda Shapiro Winter 2015.